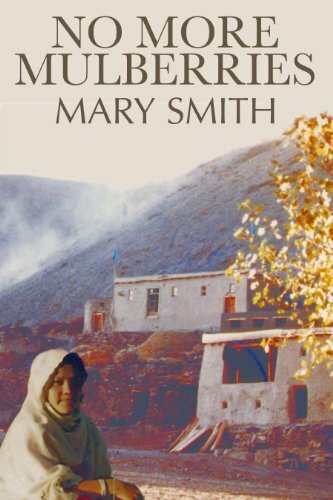 This entry was posted in authors, blogging, Book Reviews, Books, contemporary fiction, Families, Review and tagged #blog, Afghanistan, books, Mary Smith, No More Mulberries, Reviews, writing by Judith Barrow. Bookmark the permalink. Oh, Judith, thank you so much for this lovely review. What a lovely way to begin my day. Glad you’re pleased Mary. will post on Amazon in a bit. Glad you finally read it – I really liked it too! Fascinating stuff, and it read so well. Now that’s weird – I am never put off a book by a cover, unless it is really cliche, like the ones I mentioned to you with the swirly writing and photos of women in headscarves and landgirls, with a pink and yellow sky, ha ha! I hadn’t even really looked at the cover of this one. I tend to be put off by what is said in 3* reviews – they’re often the most telling ones. I know! don’t ask me why; it’s a professional looking cover (unlike those awful amateur ones) I suppose I thought the book wasn’t ‘my kind of read’ for some reason. Have to say it has grown on me… so ‘Never judge a book etc.’…. I live and learn. Perhaps i should try it your way, Terry. I really loved this too, Judith. And you’ve reminded me that I have another of Mary’s books on my kindle that I must get to! and a few more days in the week! Thank you, Alison. And I hope to get the short stories out very soon.